If you haven't been to Maginhawa, you're really missing a lot. 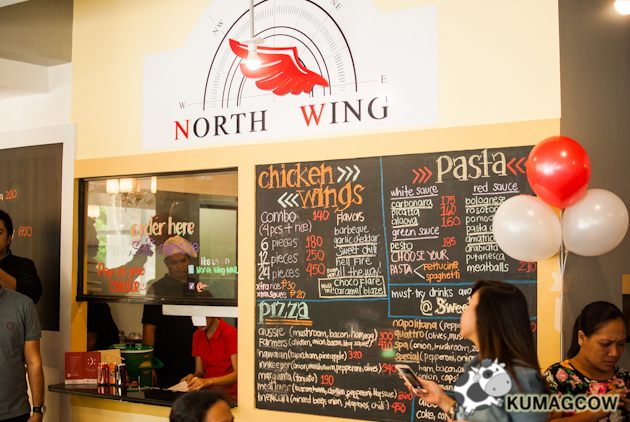 During our short event located at this street in Quezon City, owners Louise De los Reyes, Arianne Bautista and their partners showed us around their restaurant called North Wing MNL. 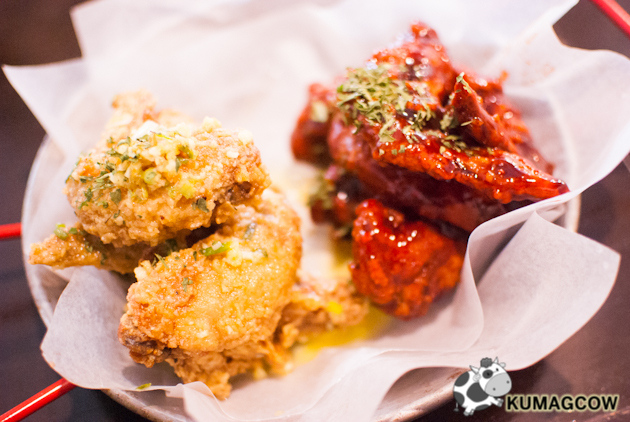 As you can tell, their specialty is chicken wings and I absolutely loved what I had during that time. Their interiors are simple, much like a small coffee shop with shabby chic tables and chairs. They've also got picnic tables, faux grass inside so it's like taking the outdoors indoors. I could tell they're probably getting this jazzed up like a tailgate before a football game in the US. As for the food, here are some of their best sellers! This is North Wing's Innkeeper. 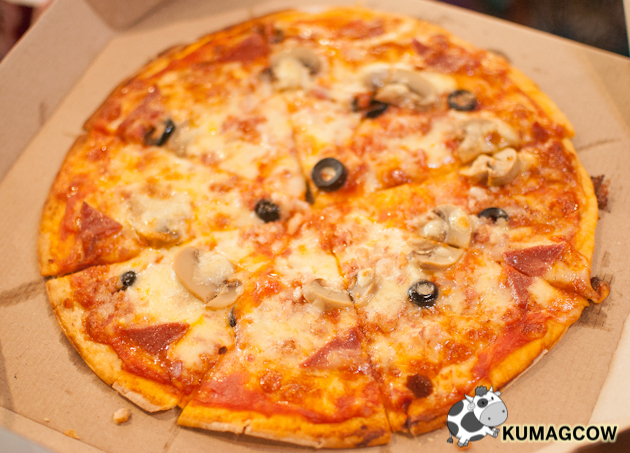 It's got onions, mushroom, pepperoni and olives. 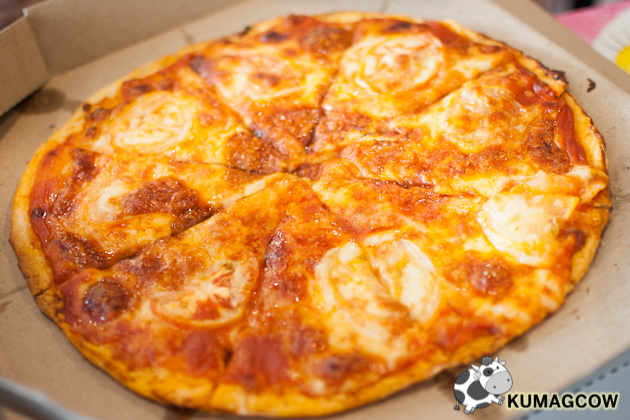 It's best eaten while it's hot so right after they place it on your table, go ahead and indulge! This one's their Margarita. It's simple, just cheese, basil and tomatoes. Effective, I also like the others but it wasn't served so that's what we'll probably have next time. It's good though, especially when it's hot! 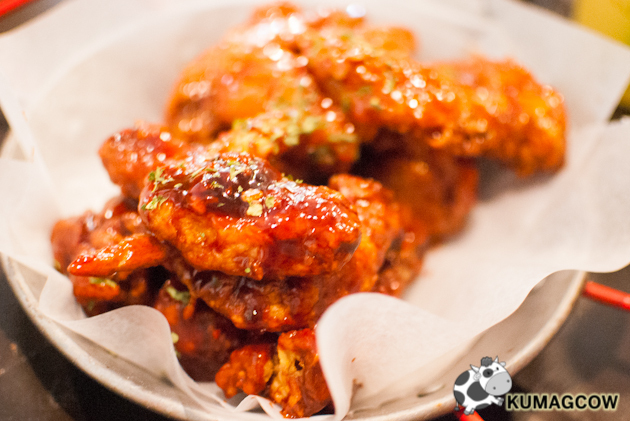 Sweet Chili Chicken Wings and Hellfire - The sweet chili wings had something herby, probably parsley so it was different. I liked two of the flavors specifically and the hellfire is one of them. Another thing to note is THEY KNOW how to fry chicken. They're not amateurs in that department. The Hellfire isn't as spicy as I want to but you can always have them customize to your preference. Garlic Cheddar and Barbecue Chicken Wings - My favorite is the Garlic Cheddar. They did it with flare and I could taste the intense garlic plus the lovely butter flavor when I bit off the chicken. That's a mark of a well seasoned wing. The other one would be fancied by kids as it's sweet and smoky. Honestly I thought they were just going to be mediocre, but they know how to cook Chicken Wings right. Mind you, I've tried tons of wing places in my lifetime and theirs is one of the best! North Wing MNL is located at 95 Maginhawa Street, Teacher's Village in Quezon City. You can opt to call (02) 8992140 / 0916-7188866 / 0917-5920901 for events/reservations. Or you can always walk in as they're open from 11AM to 11PM (sometimes even later than that). 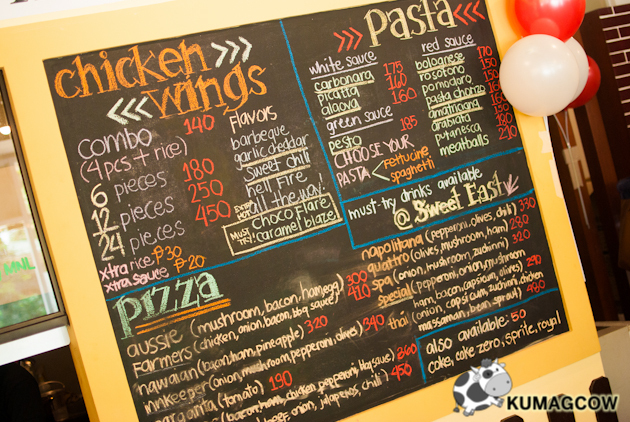 They've got pizza, pasta and really mean Chicken Wings. Make sure you drop by this lovely place and who knows, Arianne and Louise might be there to also say hi!